*Bluescope CGI Roof Sheets available for additional $360. Applies to all purchases outside of SE QLD. This Brisbane Granny Flat offers a large sweeping kitchen area with raked ceilings and an optional deck off the living area to add to the spectacular facade of this home. 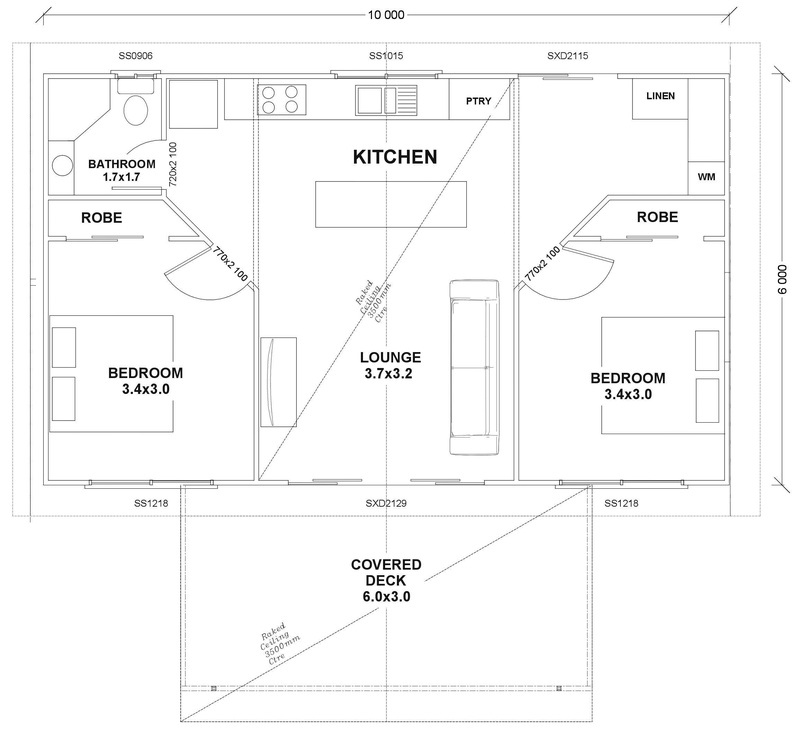 The Oceanview 60 - Brisbane Granny Flat comes with pre-fabricated ready to stand wall panels & roof trusses for easy installation by your preferred builder.